Quiet country living in a great area with 11 acres to "romp" with your children and animals. Property has small pond. Good place to build your new home or to put your manufactured home. 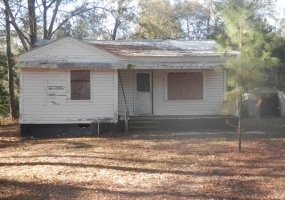 If you are looking for a fixer upper or handy man special, this home's for you. Good Investment opportunity with potential rental income. PRICE REDUCED!! Property consists of 5 lots that can be used for residential or commercial development. It fronts on 10th Street as well as 7th Ave. SE. It is directly across the street from Sonny's Meats. Located in an area that could be a success for development because of the high traffic street. It would be excellent for apartments or duplex's. Located close to all services. THIS GREAT DEVELOPMENT PROPERTY IS LOCATED CLOSE TO THE MOULTRIE YMCA. THE PROPERTY IS ZONED R-PUD. CALL TO SET UP APPOINTMENT TO VIEW OR IF YOU HAVE ANY QUESTIONS.